This was easily one of the most gripping episodes of Death Parade so far and possibly one of the best episodes overall. There is a lot to love about this episode but I feel that the best part of it was the decision to not wrap everything up this week but instead take a little more time to develop these fascinating characters. 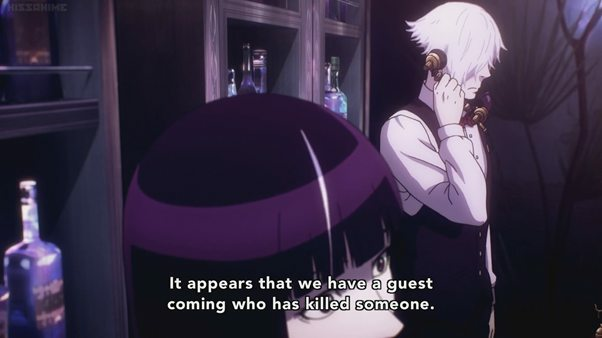 It can be tricky for a show like Death Parade to keep its audience on its toes week after week, especially since the audience is actively looking out for twists and turns in the story. Despite that, the show has been impressively consistent thus and this week’s episode ‘Death Rally’ turns things up a notch. The atmosphere is intense and the pacing is tight and the best part is, they haven’t even upped the ante all the way yet; Decim still has a couple of tricks up his sleeves and if the episode’s end is any indication, next week is going to get really hairy, really fast. 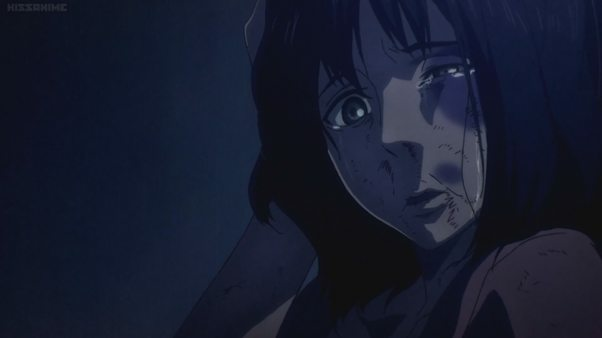 As always, it isn’t just about the plot and while this is far from the exposition heavy episodes like last week’s ‘Alcohol Poison’, there are still some interest bits of characterization presented this week, especially regarding Decim’s ‘emotionlessness’. It would be a little dismissive of me to say that the only game-changer this week was the introduction of a murderer as a contestant. To be honest, I was puzzled at first as to why murder was being treated so differently within the show but then when I got to thinking that although the participants are frequently murderous by the end of the game being played, they rarely come into the bar in question having already committed murder. Now, historically, murder has always been treated as a big deal in fiction (and not without reason) as the most evil thing a human being can do to another. 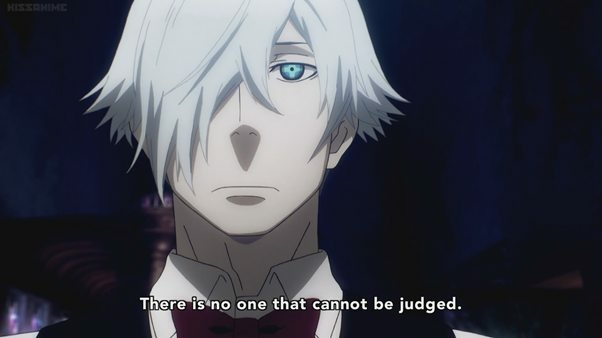 I don’t think Death Parade is going down that route – Nona and Decim both seem to have the philosophy that murder doesn’t really change the fact that the person in question is a human and can therefore be judged. I have some mixed feelings on the matter but I’ll wait for next week’s episode before voicing them. I do wonder whether murder makes the judgement process more complicated though – the post-credits teaser for next week seems to imply that bearing a murderer’s memories is fairly strenuous itself, perhaps due to the severity of the emotional scars that the incident leaves. Needless to say, I’m absolutely fascinated by how this is going to play out next week. Before I got side-tracked, I was talking about what made this week’s episodes some much better (in my opinion, of course) than the other sort of ‘game of the week’ type episodes and of course, the inclusion of a murderer was one, but it’s the smallest part, honestly. It would have been disappointing if the show decided to make the whole affair a simple murderer-bad, normal person-good type thing since that would really waste a chance to go deeper into how judgements are made. 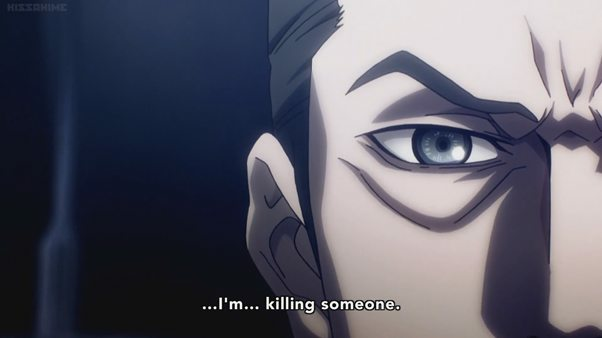 Instead, the characters we get are complex and layered enough to get as much mileage from the concept of murder as possible – though it seems like the idea here is one of ‘righteous’ murder. Both characters have suffered and they share a thirst for vengeance against those who hurt their loved ones. I’ll avoid speculating too much since the resolution is just a week away but it will be very interesting to see how the show ties these two, seemingly unrelated, men’s characters together. One of the things that had always bugged me about prior episodes was how blatant the emotional manipulation was and I think the main culprit was time. The show had to introduce new characters, explain their situation, make us care about them and deliver a resolution, all within 20 minutes. It’s not impossible but it is challenging and the end result was that there were a few times when I felt like I was being bullied into feeling sorry for the characters as opposed to more organically reaching that same emotional state. This episode’s more natural pacing fixes that issue considerably and is also a good way of leveraging a strong storyline and good characters. I can’t quite pinpoint just why this week’s characters felt a lot more natural to me though if I were to guess, I would say that not being able to see where the episode was going exactly really helped me respond to each new revelation more naturally. While I can’t say I was happy at the cliff-hanger (though that was my reaction as a viewer rather than a criticism of the episode’s ending), I feel like this is one of those situations in which letting the tension build and simmer over the course of a week would actually improve the audience’s response to the episode. Last but not least, let’s talk about Decim and what he’s up to. It seems pretty obvious that Nona intends for this particularly tricky case to be a test for Decim, one that she hopes Decim is able to pass. Why does she hope this, you ask? Well, if I were to speculate, I would say that it would be to vindicate her little experiment of implanting human emotions into an arbiter. Meanwhile though, it seems like Decim is getting colder as the season progresses. 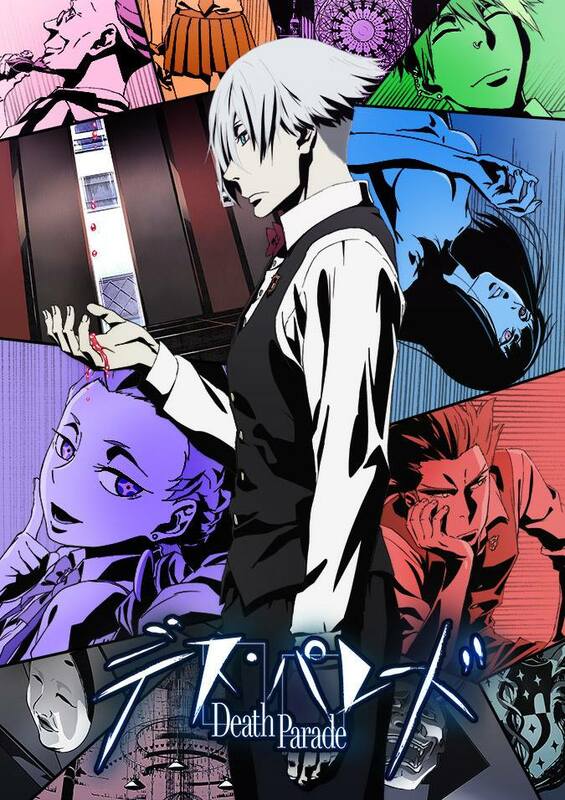 The detective this week notes that Decim’s eyes are emotionless and while the audience knows for a fact that Decim is not as unfeeling as he appears, I think it’s nevertheless noteworthy that the detective, whose talent for reading people could be legit, sees Decim as cold and empty on the inside. On a minor note, I wonder what Decim makes of his own inability to pass judgement on the Assistant, especially given his comment above, that everyone can be judged. On a even more minor note, were we ever told how the remote broke? It seems like an important detail and one that could have an effect on the outcome of the game next week.